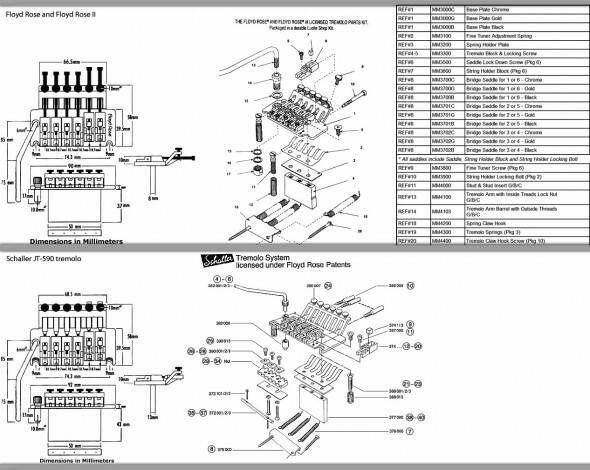 Gear Vault » Tech Ed » What’s Tremolo and how does it work? What’s Tremolo and how does it work? Tremolo suffers from an acute identity crisis. Thanks to various descriptive errors made in the Fifties, tremolo is frequently mistaken for vibrato. For the record, tremolo is a rhythmic pulse produced by a change in volume over a set clock rate; vibrato is a rhythmic warble produced by a pitch change over a set clock rate. Much of this confusion can be lovingly placed on the shoulders of Leo Fender. Leo Described his amp-based tremolo effect as “vibrato,” and named the vibrato mechanism on his Stratocaster “synchronized tremolo,” thereby establishing a misnomer that will probably be with us for generations to come. The first tremolo circuits appeared in the late Forties, one of which was DeArmond’s Tremolo Control. The unit employed and electric motor that rocked a mercury switch, turning the signal on and off to create a throbbing sound. 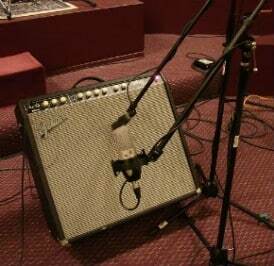 It was actually Leo Fender who improved upon the design. He used a low-frequency oscillator to make a lamp pulse. A nearby photo resistor would respond to the pulse by alternately passing and blocking the signal. Unlike the abrupt stutter of the DeArmond circuit, Fender’s ingenious design allowed the signal to shift smoothly from low to high volume as the light source glowed and dimmed. 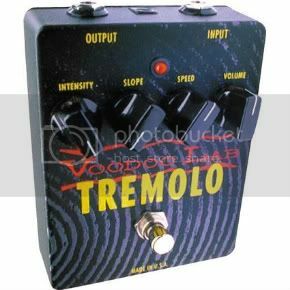 By the early Sixties, tremolo was being embraced by surf and beat groups, and it became a staple ingredient of guitarists in the San Francisco psychedelic music scene. Tremolo fell out of favor after the Sixties and didn’t enjoy its resurgence until the late Nineties, when it was reborn in all its thick, stuttering glory. Once again, guitar players can enjoy the tremulous warble and pumping swells of this rhythmic effects via pedal and amp manufactures such as Dunlop, Boss, Ampeg, and, naturally, Fender. Gear-Vault Classifieds is an eBay alternative. Come sell your used music equipment with us, free!